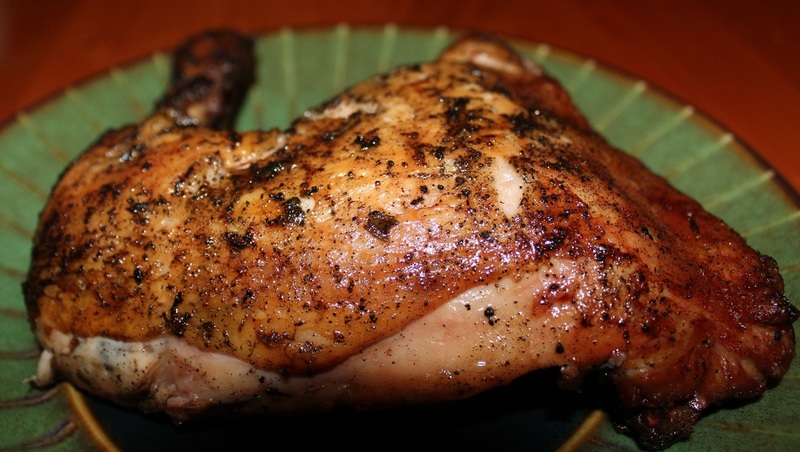 This is a succulent, very flavorful and easy to make grilled chicken. The subtle flavor of the herbs enhance the chicken without overpowering it. In a small pan over medium heat combine olive oil, sherry, vinegar and herbs. Simmer for 15-20 minutes. Allow to come to room temperature. Inject marinade into chicken. It's best to inject as many holes as possible using a small amount of marinade each time. Grill indirectly turning chicken over 1/2 way. Cook until done, about 30-45 minutes depending on size.